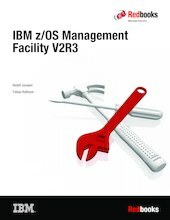 This IBM® Redbooks® publication helps you install, configure, and use the IBM z/OS® Management Facility (z/OSMF). z/OSMF is a product for z/OS that simplifies, optimizes, and modernizes the z/OS system programmer experience. z/OSMF delivers solutions in a task-oriented, web browser-based user interface with integrated user assistance. The goal of z/OSMF is to improve system programmer productivity, and make functions easier to understand and use. This improvement makes system programmers more productive as quickly as possible with the least amount of training. You can automate tasks, reduce the learning curve, and improve productivity through a modern, simplified, and intuitive task-based, browser-based interface. z/OSMF is aimed at a mixed skills workforce: It is suited to professionals who are new to z/OS and those who are skilled in z/OS. Each professional has their own needs and faces their own challenges. Novice system programmer might need to understand the “big picture” and how procedures are done. Novices also need access to documentation about procedures and tasks, and implement them according to the rules of the enterprise. Experienced system programmers are familiar with tasks and procedures. Therefore, the goal is to make their work less error-prone and easier. This goal allows them to be more productive and contribute more to their business. Although z/OS delivered simplification since it was introduced, z/OSMF brings a new dimension and focus to simplification. z/OSMF simplifies and modernizes the user experience and helps make pertinent information readily available and easily accessible.